Security Keys are inexpensive USB devices that offer an alternative approach to two-factor authentication (2FA). The most common forms of 2FA require the user to supplement a password with a one-time code sent to their mobile device via text message or an app. In contrast, a Security Key implements a form of multi-factor authentication known as Universal 2nd Factor (U2F), which allows the user to complete the login process simply by inserting the USB device and pressing a button on the device. U2F is the only technology resisting to the most advanced Phishing techniques to date. Google took its efforts to protect online accounts up a notch this week, announcing its own hardware-based security key, dubbed the Titan key. There will be two versions of Google’s key: a USB one that plugs into your computer, and a Bluetooth one that must be paired with a device before use, aimed at users of mobile devices. They will both meet the Fast IDentity Online (FIDO) authentication standard, making them compatible with a range of other sites beyond Google’s own. Scientists have published a paper today detailing a new Spectre-class CPU attack that can be carried out via network connections and does not require the attacker to host code on a targeted machine. The biggest is the attack's woefully slow exfiltration speed, which is 15 bits/hour for attacks carried out via a network connection and targeting data stored in the CPU's cache. Both NetSpectre variations are too slow to be considered valuable for an attacker. This makes NetSpectre just a theoretical threat, and not something that users and companies should be planning for with immediate urgency. 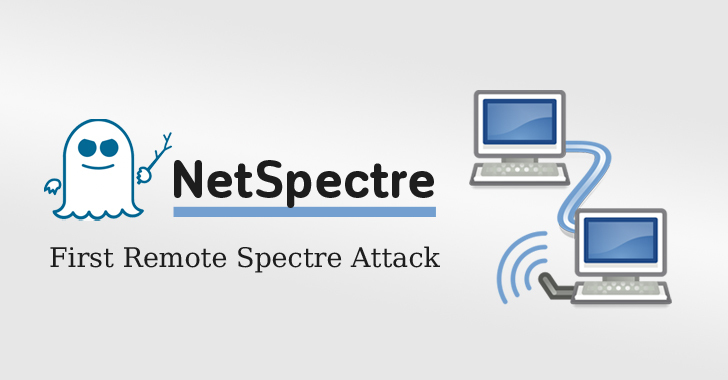 Under the hood, this new NetSpectre attack is related to the Spectre v1 vulnerability (CVE-2017-5753) that Google researchers and academics have revealed at the start of the year. As such, all CPUs previously affected by Spectre v1 are believed to also be affected by NetSpectre, although academics said that existing vendor mitigations should stop NetSpectre, if they've been deployed with our OS and CPU's firmware.